Alexander Harin has been contributing to RePEc for many years and in many ways, including as editor of two NEP reports, NEP-ACC (Accounting and Auditing) and NEP-UPT (Utility Models and Prospect Theory). 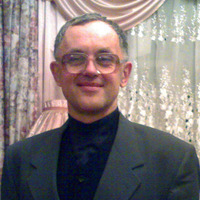 He is also an editor for the Munich Personal RePEc Archive, helping with the coverage of submissions in his native Russian as well as taking a heavy load with English manuscripts. His path to economics is rather unusual, having studied and published in physics before becoming an accountant. His wide interests then brought him to think about forecasting and decision theory, which lead hom to find ways to monitor the literature. The various RePEc services were perfect for that, and he decide to also volunteer in their development. You can, too. Over the past month, we have welcomed the following institutions that now index their publications in RePEc: Instituto Brasileiro de Inovação Financeira, Society for Advanced Management Studies, Università di Cassino, Eastern Mediterranean University, Central Statistical Office of Poland, Universidad de los Andes (Colombia), Università de Salento. We have also counted 389,550 file downloads and 1,541,298 abstract views during last month. This is a rather quiet month in terms of traffic, yet plenty of material was added to our online bibliographies. Yet, somehow, we hit no milestone over the last 31 days. There be more in a month. You are currently browsing the The RePEc Blog blog archives for August, 2015.